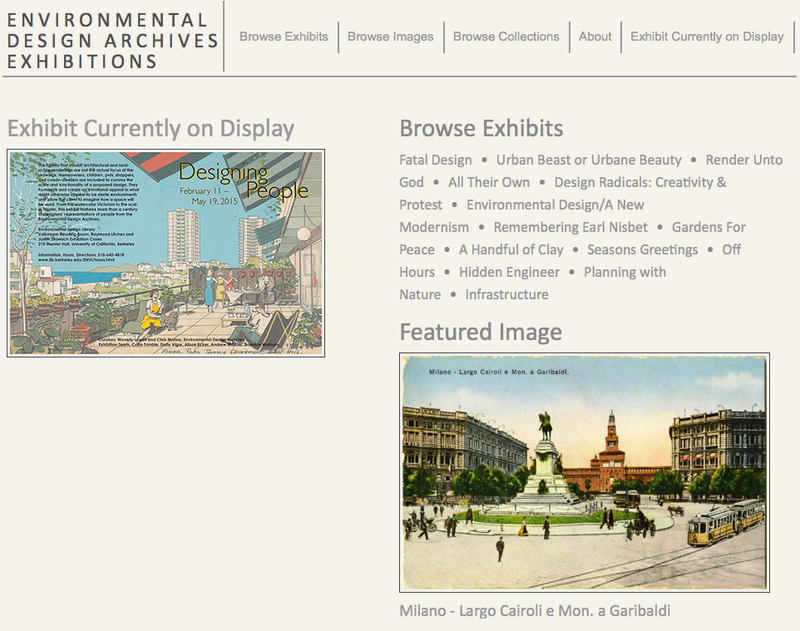 When the Archives transitioned to our beautiful new website, you may have noticed that the online exhibits page remained the same. This is because the exhibits page is actually a separate website that uses Omeka, an open source software developed for museums, archives, libraries, and scholars to share their collections. We use it to organize our digital content and create virtual exhibits. We are in the process of upgrading this software and earlier this month Emily, Chris, and I had the privilege of attending a symposium at UC Santa Cruz to learn about new tools and possibilities for projects that Omeka can support. 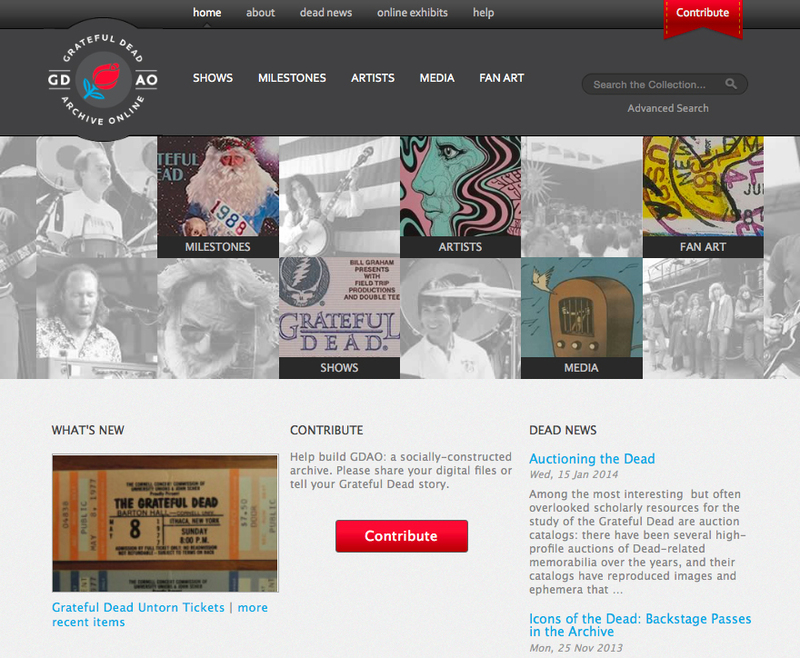 Librarians at UC Santa Cruz have been huge innovators for Omeka since they used it to create the Grateful Dead Archive Online. Over a two-year period with the help of a programmer, they were able to customize the Omeka software to create an online presence for this unique collection and provide access to fans and researchers around the world. Since then, UCSC faculty have started using Omeka for teaching and research and we got to hear about several projects currently in the works. History Professor Elaine Sullivan explained how using Omeka to create metadata for digital objects and then online exhibits helped teach her students to work collaboratively and write for public audiences. By taking a chosen topic beyond a “five paragraph essay,” Sullivan’s students are able to view the cultural artifacts in new ways and better understand their context. 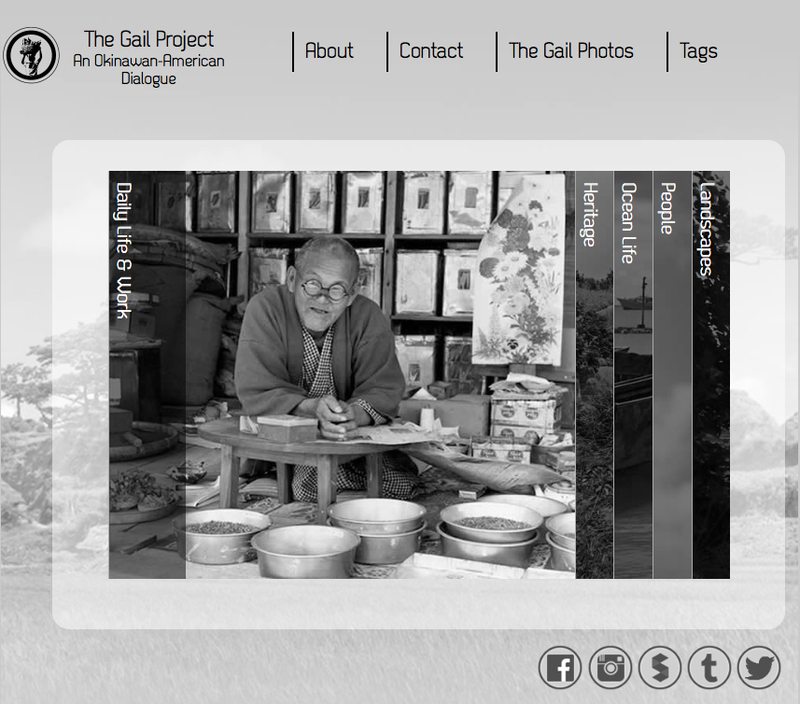 History Professor Alan Christy presented The Gail Project, a research project inspired by a collection of photographs taken by U.S. Army Capt. Charles Gail in 1952 while stationed in Okinawa, Japan. The photos, depicting a landscape and way of life that vanished shortly thereafter, have sparked an international dialogue about the post-World War II occupation of Okinawa and the ongoing relationship between Okinawa and the United States. Christy and his students want to use Omeka both to display the photos, and to create a place where people of different generations, cultures, and languages can come together and share their stories and memories. One challenge they face is the inability to use Japanese characters within Omeka. A proposed solution is to develop an audio commentary function that would not only collect oral histories and reactions, but also help to document the Okinawan language, now considered endangered. Digital Initiatives team members Jess Waggoner and Ned Henry presented the Omeka Curator Dashboard project, a suite of plugins developed for Omeka, the necessity for which grew out of the Grateful Dead Archive Online project. The plugins provide functions ranging from the importation of content from various social media and digital asset management sites to the ability to track changes made to an item within Omeka. Henry also spoke on the community of Omeka developers and how to access them, but more importantly how to support them so that they can provide the best working results. While the first two presentations were very inspiring and motivating, the Omeka Curator Dashboard holds the most relevance for the use of Omeka at the Archives. Once we can upgrade our software, we will be able to use these plugins to streamline our process for describing materials and build more engaging and interactive exhibits. We are also planning to develop some virtual archives for specific collections and subjects. This fall we will be working with Architecture History Associate Professor Andy Shanken on an exhibit of the Golden Gate International Exposition (1939) and the Panama Pacific International Exposition (1915), which will be accompanied by a website showcasing our Fairs & Expositions Collection. I am also working on processing the Oakland & Imada Collection, which presents a great opportunity for a virtual archives of Joseph Eichler materials. We ended the workshop with breakout sessions and I attended one called “If Only I Could…” I think many of us in the room were still new enough to Omeka and digital asset management that we weren’t sure what to rely on Omeka for versus other available services. The consensus at the end of the session was that we needed to create an Omeka users group to keep the conversation going about how we are using Omeka and what the software can and should do. Overall, the symposium was eye-opening. It was wonderful to connect with other users and potential users to discuss Digital Humanities projects and I am so excited about the world of possibilities that has been presented to us. Now we just need to get started!